I’ve been designing signet rings since 2016, when I introduced my big “No Class” ring style. In 2017, I added smaller signet rings “for rebel women.” The little signets were designed to be worn as pinkie rings, but you can order them in any size through my website. 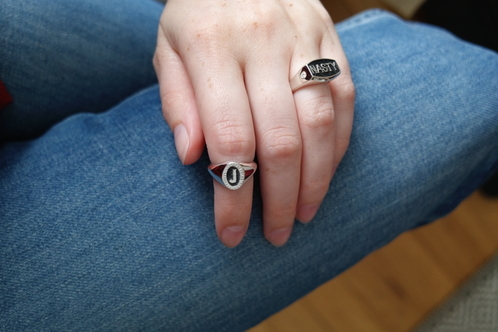 I’ve also done “East-West” rings, which feature a horizontally set gem (or other horizontal design feature). 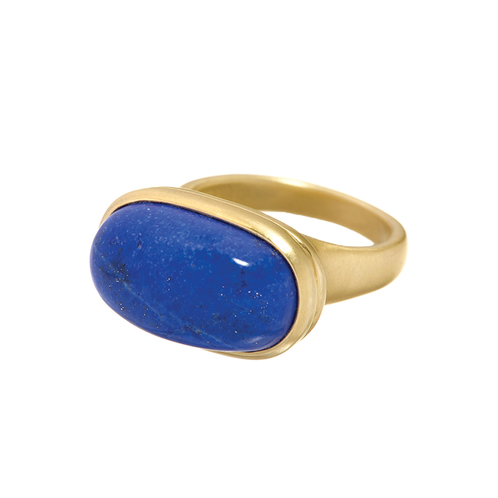 An example of that is my one-of-a-kind Nefertiti poison ring in 18K yellow gold and lapis lazuli. Long ago, Reese’s Peanut Butter Cups ads taught me that two great things go great together. 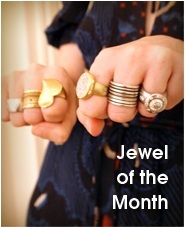 Accordingly, July’s Jewel of the Month combines two appealing styles in a new East-West signet-ring design. 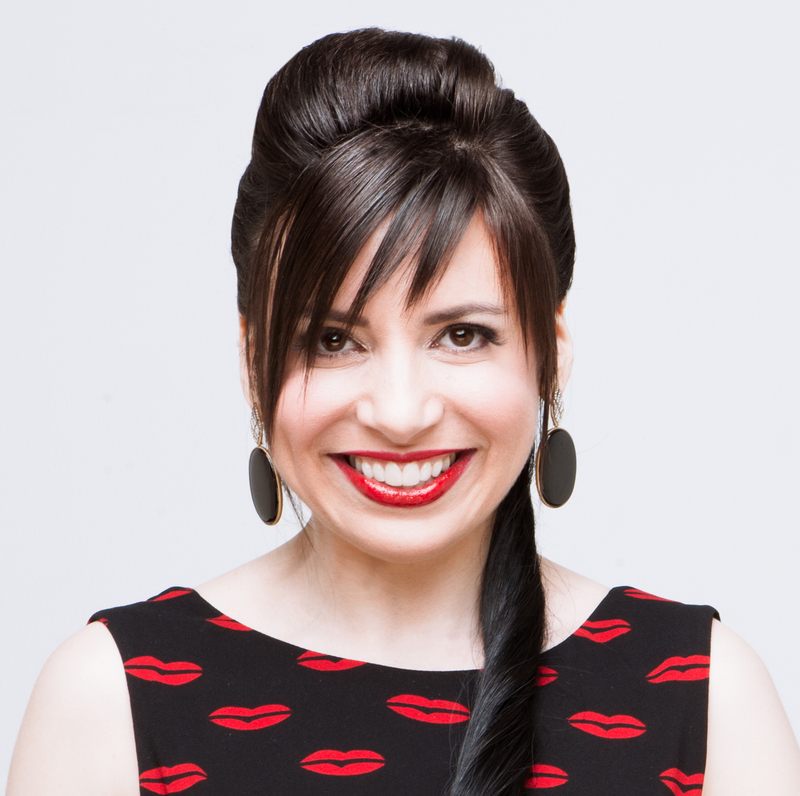 This style is so fresh it isn’t even on my website yet! 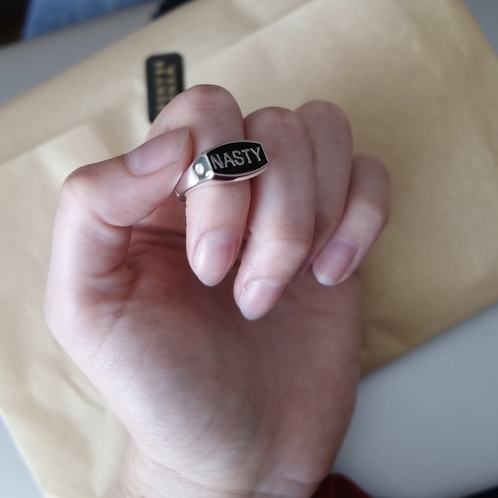 If you’re interested in the size-5, sterling-silver NASTY sample shown above, holla at me at info at wendybrandes dot com and I’ll send you the deets. 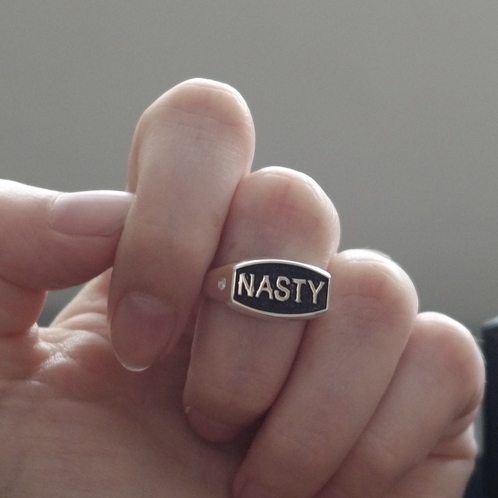 As with my NASTY necklace, the purchase price of any NASTY ring will include a charitable donation to Planned Parenthood. A better view of one of the accent diamonds. Of course, you can request a customized East-West signet ring with a different word, as well as in your choice of metal (silver or 18K gold) and/or accent gems (tthe sample features two diamonds totaling six points; there are 100 points in a carat). Speaking of customization, I made one of the pinkie signets with an initial on it rather than a symbol. As with the NASTY ring, I used my signature Wendy Brandes font, which I first introduced 10 years ago as part of my infamous and much-copied swear-ring set. Time flies when you’re making letter and word jewelry! 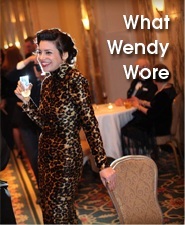 Request your own initial by emailing me at info@wendybrandes.com. Stay tuned for more fabulous signet ring styles.